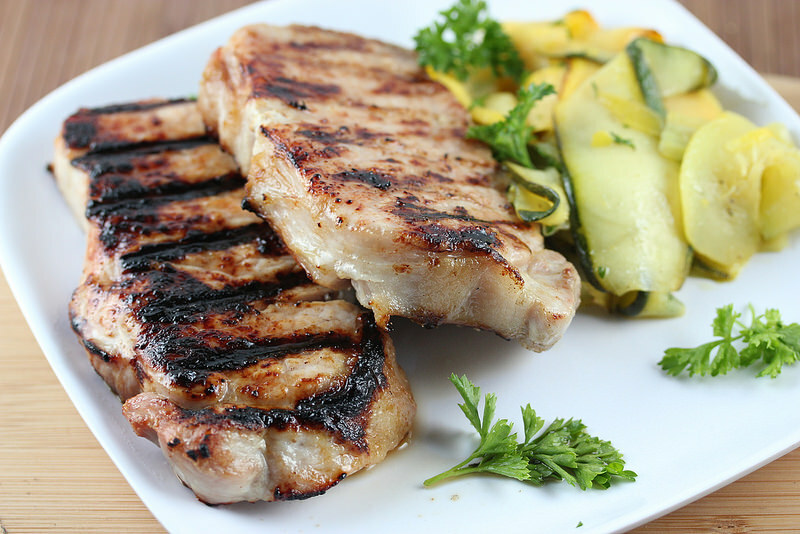 These pork chops turn out tender, moist, and delicious. This recipe uses anchovy paste, and honey to aid in the browning of the chops. 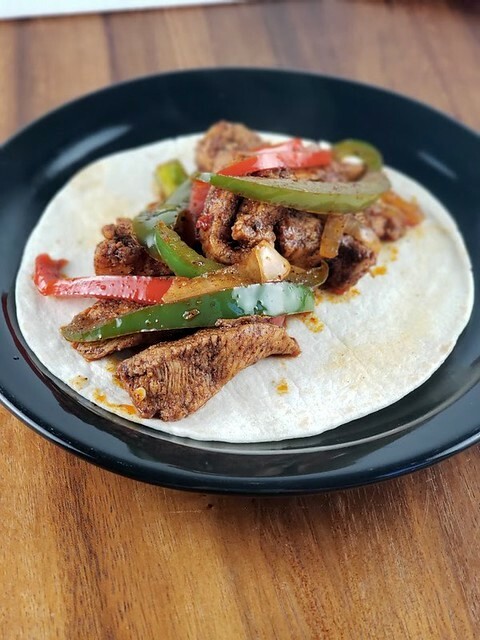 I have never used anchovy paste as an ingredient so it made me a little nervous as to exactly what kind of flavor impact it would have on the chops – but it did not turn out to be an issue; they were very good. This recipe takes a little bit of time, mainly due to the brining time required, but once there placed on the grill they cook quickly. 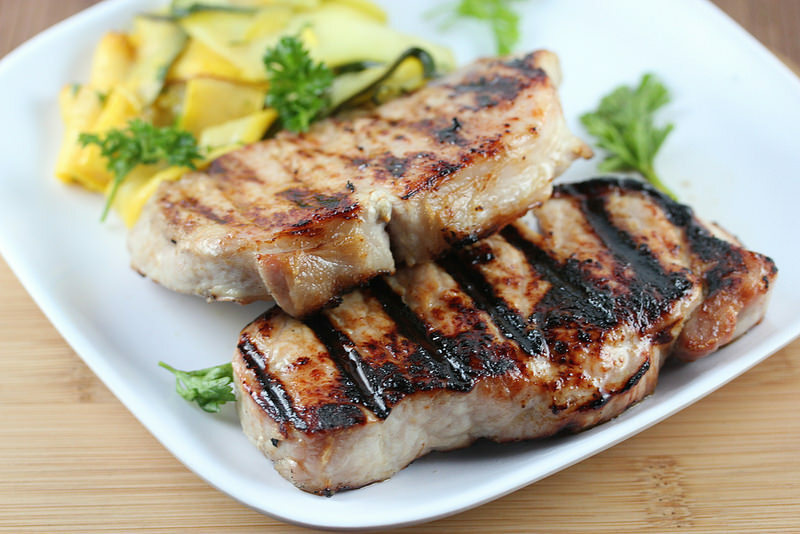 The next time your fire up the grill give this Simple Grilled Pork Chops Recipe a try; it’s a simple recipe and well worth the effort. In a large bowl dissolve salt in 1 ½ quarts of cold water. Cut slits in chops about 2 inches apart through the outer layer of silver skin and fat. (This will help keep the chops from bulging on the grill) Place chops in brine at room temperature for 30 minutes). 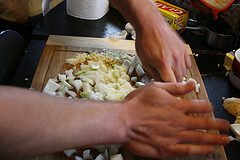 While chops are brining in a small bowl mix together the honey, oil, pepper and anchovy paste until well combined. Preheat and prepare grill over medium high heat. Spread ¼ teaspoon of oil mixture over one side of each chop and place oil side down on the grill grates. Grill until well browned and slightly charred. Place the remaining oil mixture on the uncoated side of the chops, flip, and continue grilling until chops are well browned and done. (145F.) if chops brown too quickly move chops to a cooler side of grill to finish off.